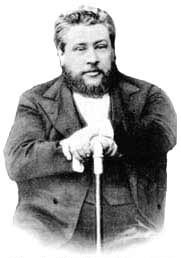 In honor of Charles Spurgeon, the prince of preachers, who preached his last sermon at the Metropolitan Tabernacle on this day in 1891. Spurgeon is one of my favorites! So glad I saw this post! Brought me to tears this morning, the thought of Christ carrying the heavier part of our burdens. Just, wow! Thank You, Jesus! His name is still well-known today. I don’t always get a chance to read your blog, but I so appreciate your dedication to find something related to the date! Thanks for your work!